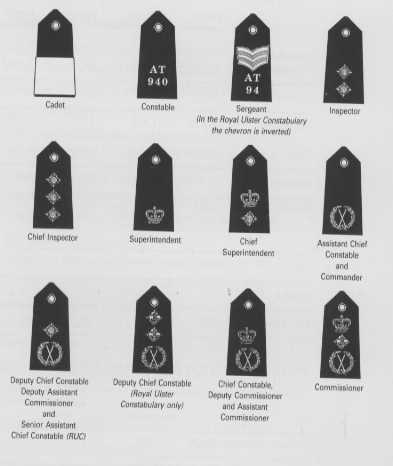 The officer in charge of each Police Force is the Chief Constable, but in the Metropolitan Police and the City of London Police, the rank is Commissioner. The Commissioner of the Metropolitan Police is recognised as the most senior operational police officer in Britain. In the Metropolitan Police, the Commissioner is assisted by a Deputy Commissioner, 4 Assistant Commissioners, Deputy Assistant Commissioners and Commanders. These officers are members of the Association of Chief Police Officers (ACPO). Other Forces are staffed by a Deputy Chief Constable and Assistant Chief Constables.